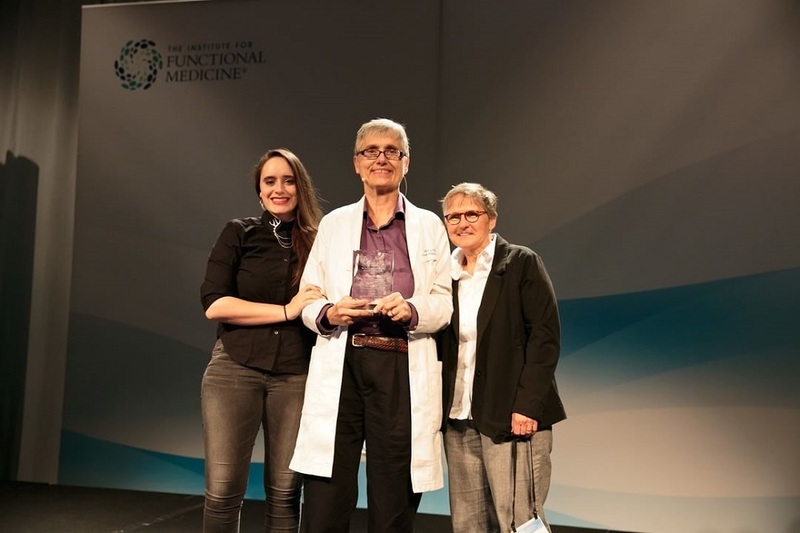 The Institute for Functional Medicine (IFM) is proud to announce Terry Wahls, MD, as the 2018 recipient of the Linus Pauling Award. The Linus Pauling Award recognizes a visionary clinician or researcher who has made a significant contribution to the development of the Functional Medicine model or to the reach of Functional Medicine nationally or internationally. Dr. Wahls received this award for her work as a physician, researcher, teacher, and patient advocate. Her health journey led to the publication of her pioneering research in neurological disorders, and it serves as a beacon of inspiration to the Functional Medicine movement and community as a whole. The announcement was made today at IFM’s 2018 Annual International Conference in Hollywood, FL. Photo courtesy of the Institute for Functional Medicine. ?